Love your new IKEA Kitchen, but wish you could swap the doors for a customized look? We work with a cabinet door manufacturer to offer you retrofit solutions for your IKEA cabinets. Schedule an appointment to see the wide variety of custom door styles that can be adapted to work with your IKEA Sektion kitchen cabinets. Does your old IKEA Kitchen need an updated look? Before purchasing an entirely brand new kitchen, consider replacing your old IKEA Kitchen doors with custom doors from our cabinet door manufacturer. Schedule your appointment today to see how we can re-face your old IKEA Akurum Kitchen to make it look brand new. We work with Allstyle Cabinet Doors for your IKEA retrofit solutions. Whether you want a customized look for your new IKEA Kitchen, or simply want to refresh the look of your old IKEA kitchen – we can help. We work with a reputable cabinet door manufacturer to offer you retrofit solutions for your IKEA Akurum or Sektion cabinets. Call us today for more details. Meet with your PEG Project Manager at our central office in Etobicoke to peruse through the custom door samples, then choose a style and finish. They will go over the entire process with you and answer any of your questions. 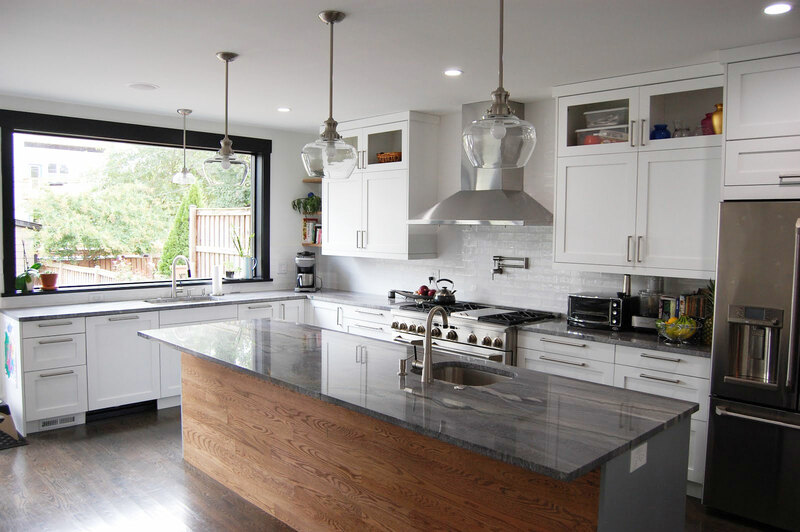 Whether you are re-facing an old IKEA Kitchen or having a new one installed, your PEG Project Manager will need to either: a) do a site visit to assess your existing kitchen, or b) review your new IKEA Kitchen Plan. From there, they will determine the scope of the product required for the job and provide you with a written and detailed quotation. Once you review the quotation and sign off on it, contact us to place your order. Depending on the scope of your project it can take roughly 3 – 4 weeks to manufacture your custom cabinet doors. We will be keeping abreast of the status of your order throughout the manufacturing process. Once we have a firm completion date, we will contact you to coordinate the delivery and installation of your custom cabinet doors. Your PEG Project Manager will do a walk-thru and inspection of your kitchen with you to make sure you are 100% satisfied.